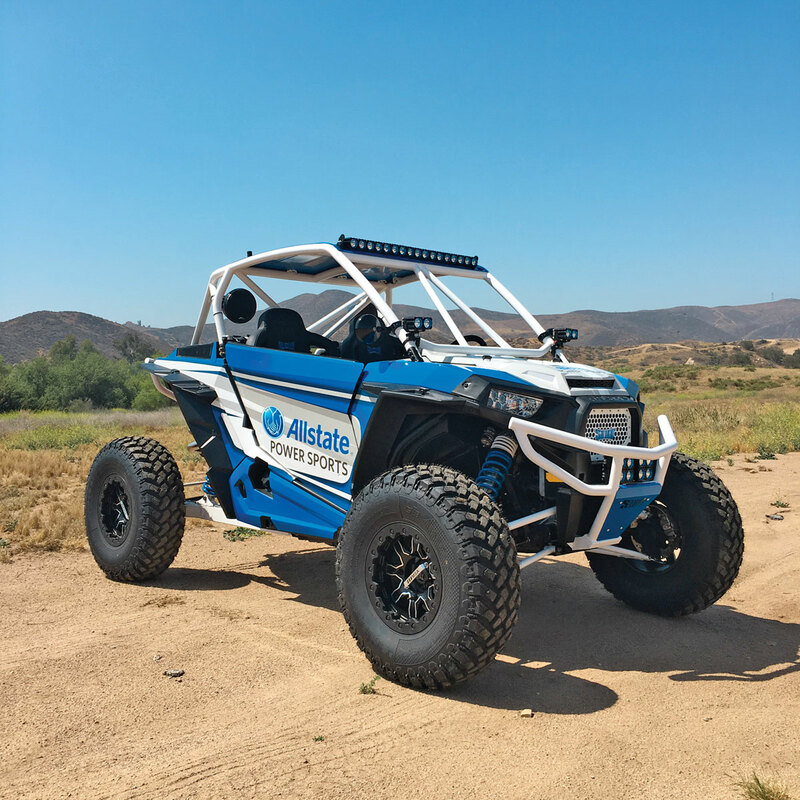 The best part about the UTV industry’s rapid growth is that the intense competition forces companies to fight for your dollars. A decade ago this roll-cage buyer’s guide would have been substantially shorter. 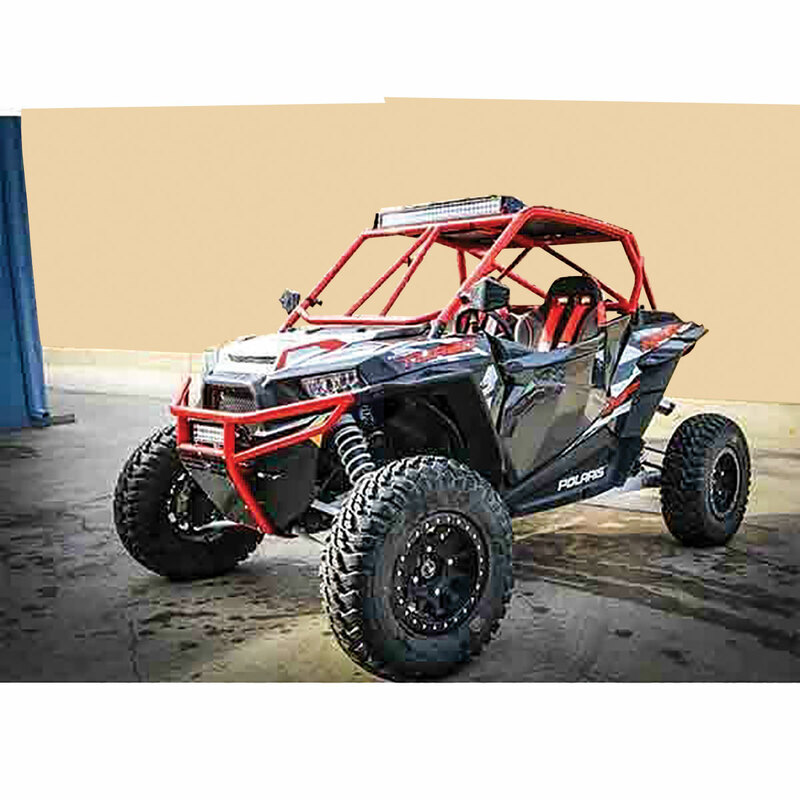 Today, there are dozens of well-known fabrication companies that want you to trust them with your hard-earned cash when looking for a new cage for your RZR or other UTV. 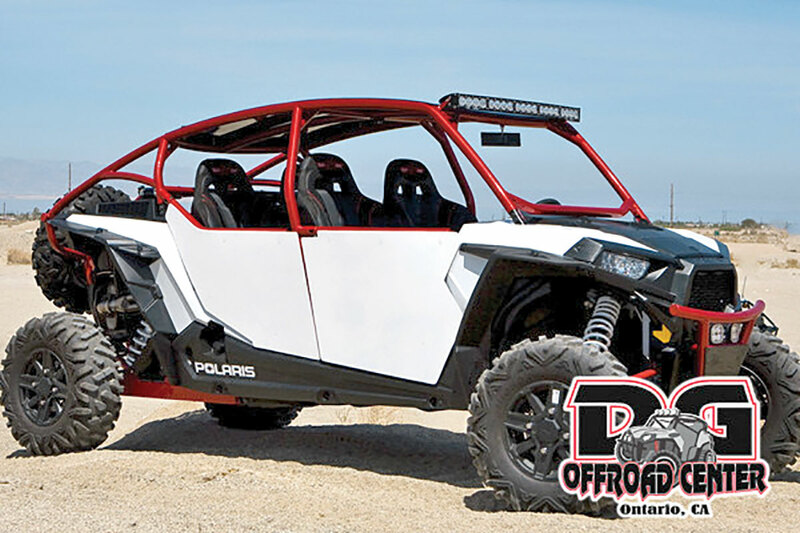 A roll cage can change the look, feel and safety of your RZR XP in a big way and could end up saving your life. Check out the available cage hardware from this list of top companies. We are sure you’ll find something that fits your style and your budget! 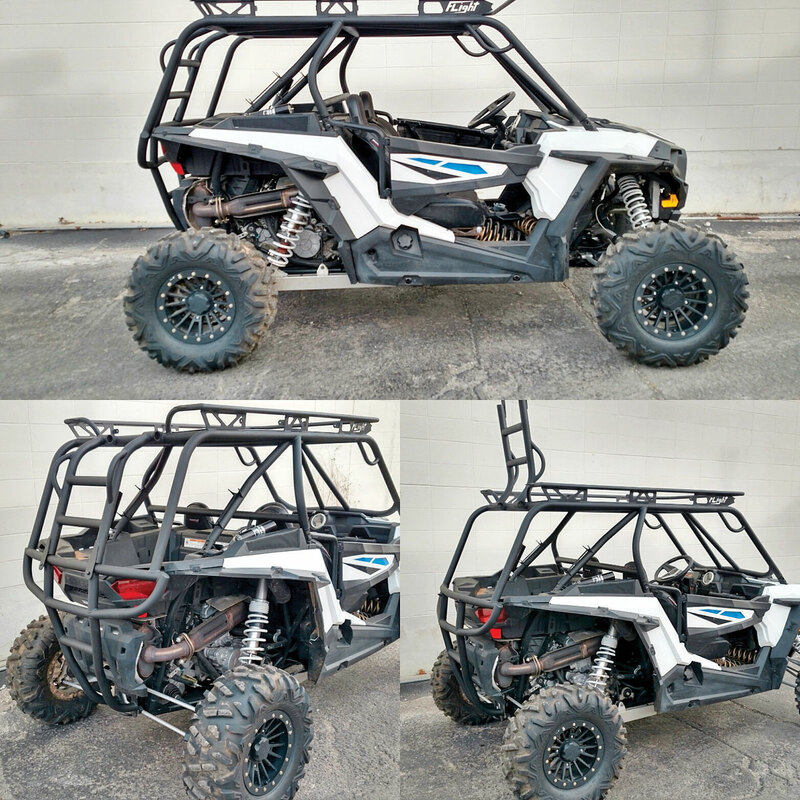 CageWRX offers its RZR XP two- and fourseat cages in four configurations. Two styles are available: the Super Shorty, which is just that, and the Race Cage, which offers a taller roof line for a little more interior room. The cages are available as weld-on kits and fully assembled cages. The kits are a bit easier to ship, so if you are a professional welder or know someone who is, you can save quite a bit of dough with the cage kit. CageWrx’s Shorty and Race cages are assembled from 1.75-inch DOM tubing, and the assembled cages are MIG-welded. Five stock color options are available, with custom-colored powdercoating available for an additional fee. The cages are compatible with OEM doors. The kit price is $699.99, while the welded version costs $1399.99. 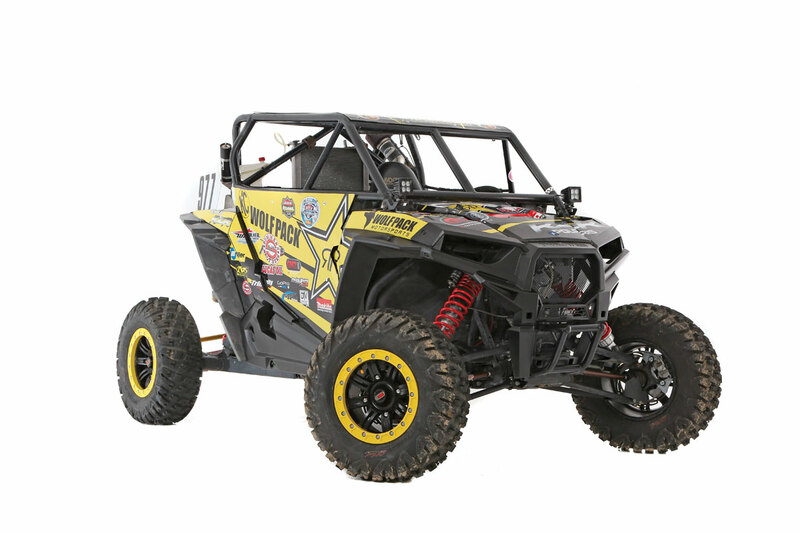 Cognito has had a very successful UTV racing career, so it’s no surprise the company sells race and recreation cages. The two race cages available—Short Course and Desert—are made from 1.75-inch DOM tubing and feature welded, reinforced, fixed door frames with aluminum panels. The roof and doors attach with quarter-turn Dzus fasteners for easy removal. The cages come raw for $2300. 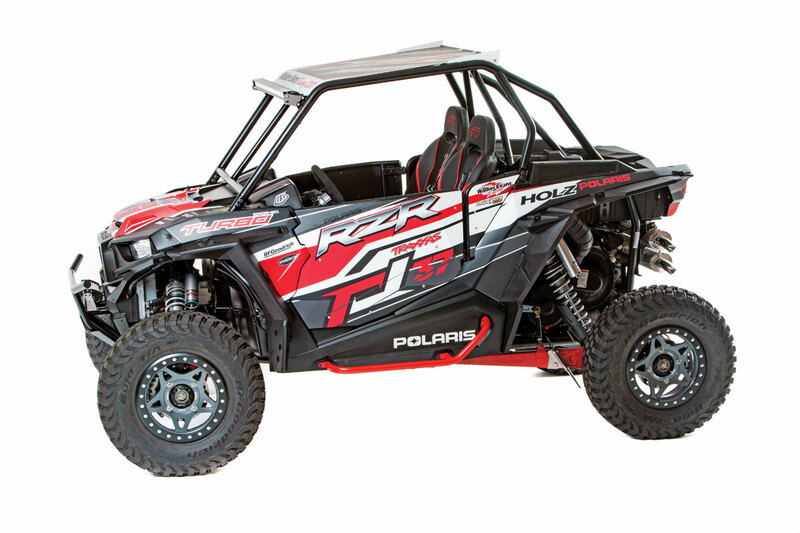 Recreation cages are available for two- and four-seat RZR XP 1000s and XP Turbos, starting at $1299 for the two-seat and $2200 for the four-seat. A host of options are available, including a roof rack, light-bar tabs, spare-tire mounts and air-pump brackets. Those prices are for the bare cages; powdercoating is extra. The cages are compatible with OEM doors. Desertworks shakes things up a bit in the cage department, as its racks come fully loaded. 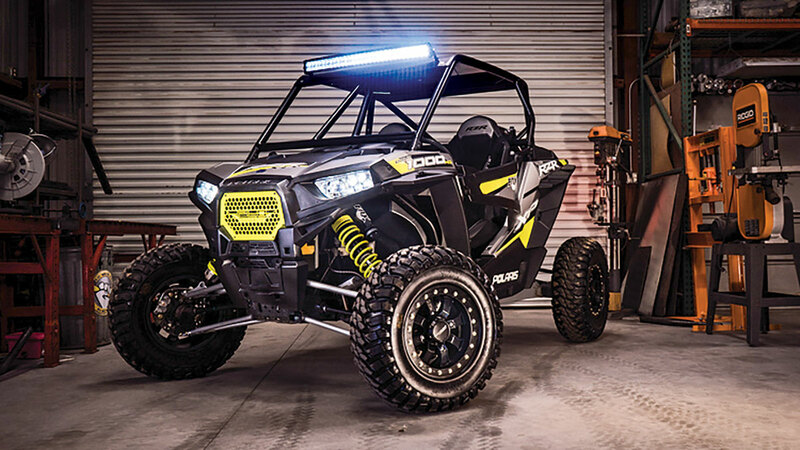 The RZR XP cage kit features a powdercoated cage, fiberglass roof, LED rear brake/dust light, two Safeglo whip mounts, a Safeglo dome light and a 30-inch Safeglo light bar mounted in the roof pocket. The 1.75-inch DOM steel cage is strong, and it includes a tied-in rear bumper. The $2800 cage kit (two seat) is a great deal, and the cages look beautiful. It includes OEM door mounts. DRP offers its RDS roll cages in both welded and knockdown (weld it yourself) styles. The weld-together kit is $699.99 for the two-seater and $999.99 for the four-seater. Assembled cages start at $1399.99 (two-seat with no powdercoat) and range up to $2199 (four-seat with powdercoat). DRP’s cages are all 1.75-inch DOM tubing, are 3 inches shorter than stock and feature OEM door mounts. 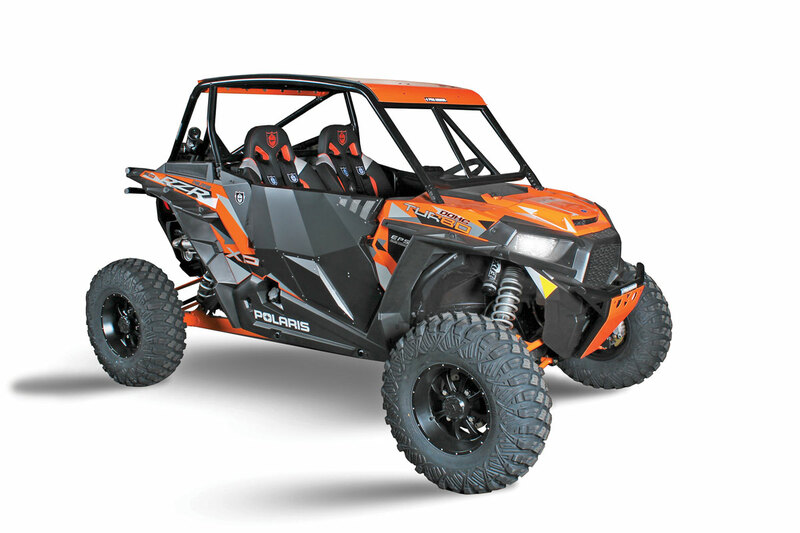 While DragonFire doesn’t actually offer a full roll cage for the RZR XP, it does offer bolt-on cage accessories. Its steel-tube RacePace-series parts bolt to your OEM roll cage to strengthen it and improve its looks. DFR offers a Flying V front intrusion bar, “HeadAche” roof bars, rear bumpers and spare tire brackets. The Flying V bar is only $269.99, making this a cheap way to upgrade your stock cage. 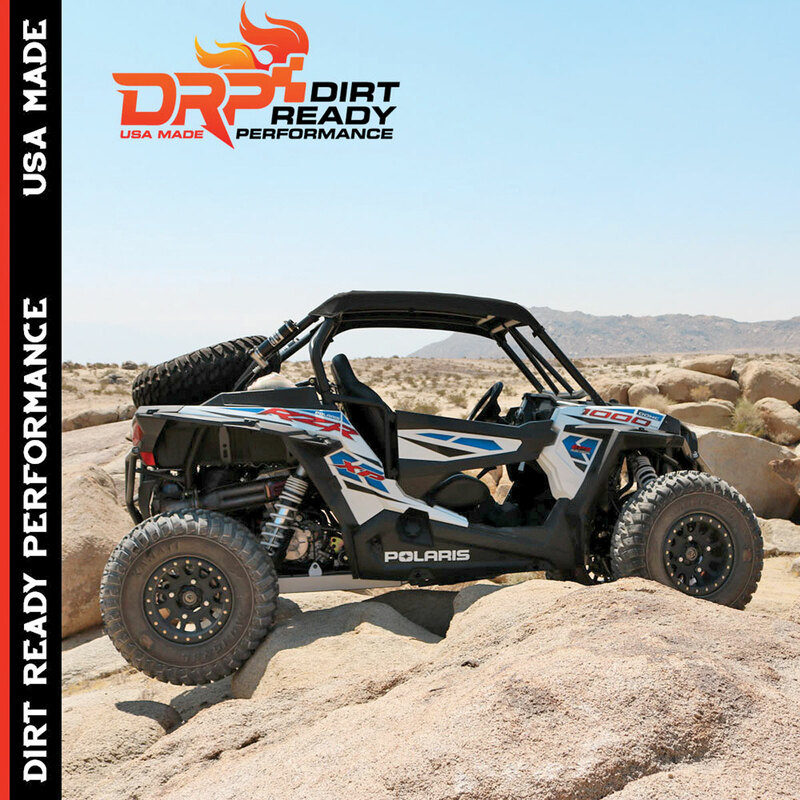 DG has been making off-road hard parts longer than some of our readers have been alive, and DG is well known for its options. 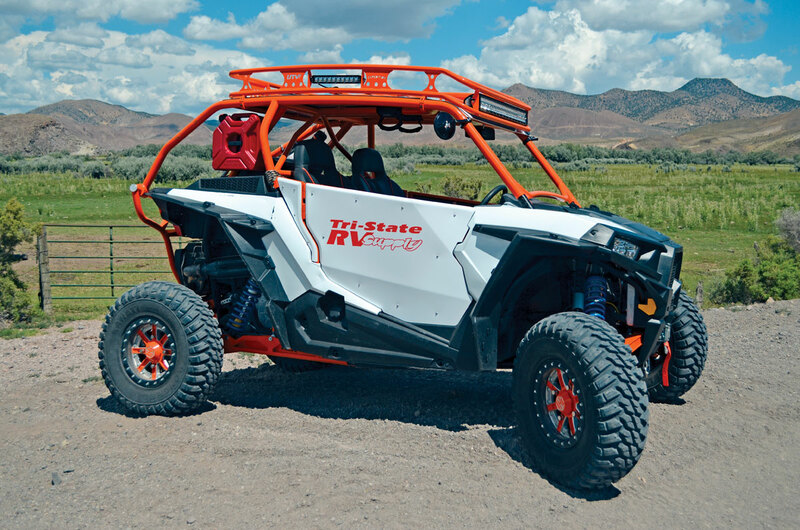 For the RZR XP, DG offers three versions: standard (curved roof), fastback and flat top. All three cages have very nice lines, and the fully welded and powdercoated two-seat Fast Back cage starts at just $1350, including the aluminum roof! Options for whip mounts, windshields, intrusion bars and more can be found on DG’s website. Works with OEM doors. Get ready for the options! All cages are listed as “call for pricing” and feature a huge options list. All cages work with OEM doors. 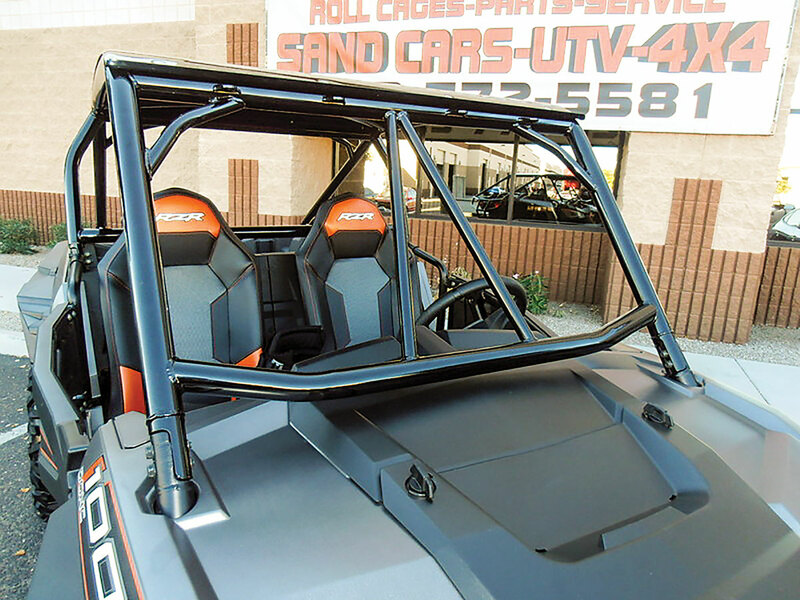 • Apache 2/4-seat cage: Radius top, tied-in rear bumper, Flight off-road rear-bed truss. • Black Hawk 2/4-seat cage: Flat top, Flight rear-bed truss, chopped cage height. • Chinook 2/4-seat cage (shown): Tall flat top, bed-length roof and rack, swing-up ladder, built-in bumper. • Comanche 2/4-seat cage: Flat top, Flight rear-bed truss, chopped cage height, built-in bumper. 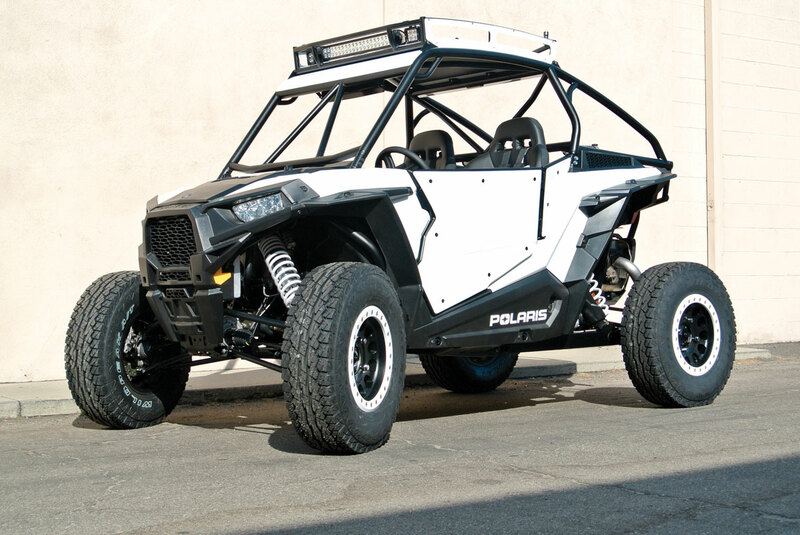 • Drone 2/4-seat cage: Flat top, no bumper, V intrusion bar, roof and 32-inch LED light bar. Flo’s 1.75-inch DOM cages feature aluminum roofs, V intrusion bars and options for tied-in bumpers. The two- and four-seat cages are both listed as “call for pricing.” Flo also offers matching doors and other accessories. Flo is a new name, but the men behind the welding masks are industry veterans. The company works with OEM doors. 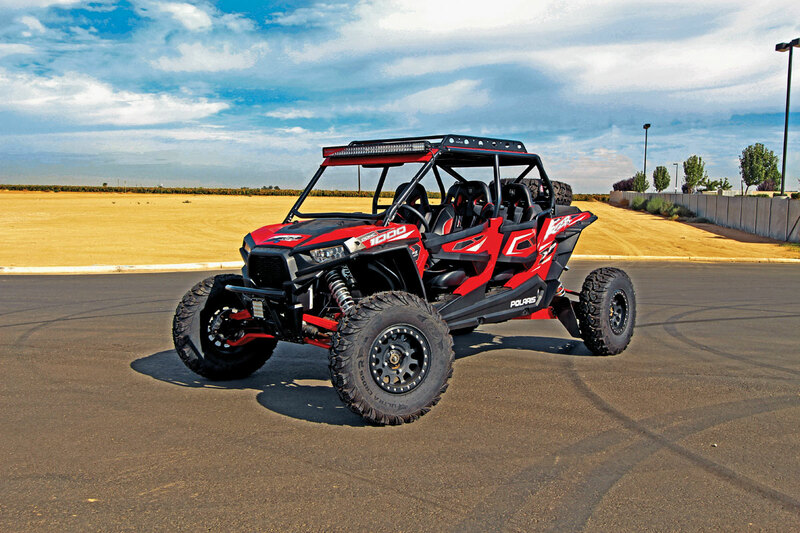 Gravity Motorsports offers one cage style for the RZR XP 1000/Turbo two- and four-seaters. The radius-top cage features braced corners, a V intrusion bar, X-bar roof, powdercoated aluminum roof and bolt-on rear bumper. The two-seat model is $1800 (powdercoated), and the four-seat model is $2200. The cages are high quality and feature a lot of headroom for taller riders. The company works with OEM doors. Holz Racing’s two-seat Sport cage features the same finned roof as RJ Anderson’s XP1K2 car. The cage is hand-TIG-welded out of 1.75-inch 4130 chromoly tubing, making it both lightweight and super strong. The $2500 Sport cage has a single intrusion bar and no rear bumper. The company works with OEM doors. 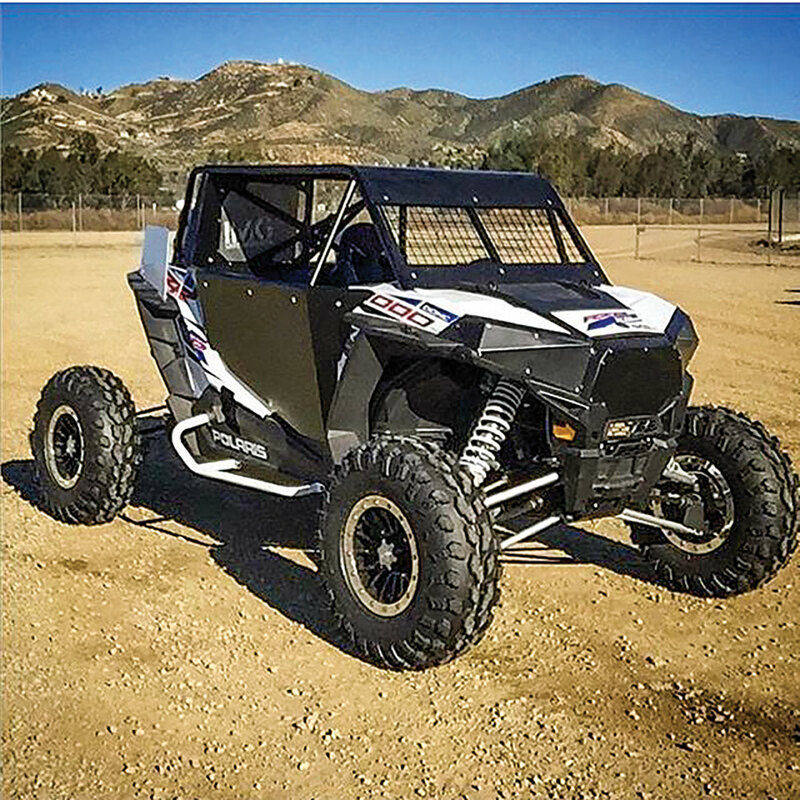 Lake Elsinore’s IMG Motorsports has three cage options for the RZR. Its two-seat Eleanor cage is $1799.99 and features a radius top, roof, V intrusion bar and built-in rear bumper. The same cage is available in the Duner style sans the rear bumper. The third option is called the JH2, a flat-top race cage that will set you back $2799. The JH2 features a reinforced fixed-door frame for race requirements, as well as a B-pillar brace that adds options for netting, windows and cage clamps. The ultra-strong WORCS/desert cage is certainly beefy. The company works with OEM doors. Pro Armor offers a lot of options, and its website is a little difficult to navigate. We suggest giving Pro Armor a call, as there are quite a few option boxes to check. Raw standard colors and custom colors are available. Both the two- and four-seat cages are available in three styles: Asylum, Baja and XP1K. All three cage styles are also available with no intrusion bar, a single bar or a V-bar. The differences between the three cages are stylistic, with the XP1K style being the flashiest and the Baja the most elegant. All of the cages are made from 1.75-inch DOM tubing, starting at $1399.95 for the basic two-seat cage. Compatible with OEM doors. Nelson’s two-seat chromoly roll cage is TIG-welded and comes in gloss-black powdercoat and a carbon fiber roof all for $1599.99. The cage can also be had sans powdercoat or in kit form, lowering the price even further. Nelson claims that its cage and roof combo weighs only 70 pounds. All we know is, no one better cover that carbon roof in vinyl wrap! Compatible with OEM doors. SDR is one of the more well-known cage builders globally, as it also does fully custom build packages. SDR offers three styles for four-seat XPs and two styles for two-seat models. The XPR-2 Shorty cage is the least expensive of the bunch at $1401.99 raw. The Shorty features a similar look to the Sport cage, but drops the Sport model’s tied-in rear bumper. This lightweight cage has options for color, roof, windshield, light mounts, rear light bars and more. Four-seat cages start at $1709.99 for the Shorty (no bumper) and jump up to $2139.99 for the Fastback or the Sport cage. If you’re going to put adult passengers in the back seat, the Sport cage features a slightly taller roof line. Compatible with OEM doors. SXS Industries is primarily an online parts retailer, but it does have its own cage line. The Dune Destroyer cage has a raised front roof line that is raked back towards the driver for maximum forward visibility. The cage comes complete with a roof, front light pocket, and integrated chase and brake lights. An intrusion bar is optional at no charge. The cage is made from 1.75-inch DOM tubing and comes raw for $2450.Compatible with OEM doors. 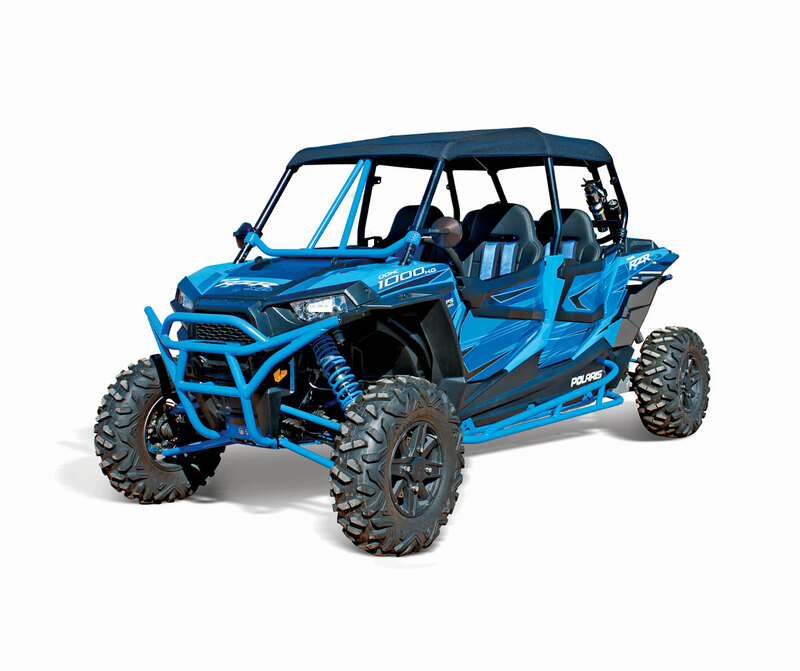 This is SXS Performance’s Outdoor Logic Defender series, available in a two-seat version for $1660 and a four-seat version for $2,122.88. Our Dune Patrol XP Turbo sports the Defender cage. The MIG-welded, 1.75-inch cage features a radius top, V intrusion bar, and four grab handles. Powdercoating of the cage and roof both incur additional charges. These beefy cages are cut and dry—no modifications necessary. Compatible with OEM doors. TMW’s big options list starts with the style; two-seat Venom roll cages are available in V1, V2, V3 and V4 styles, each of which have small stylistic tweaks. 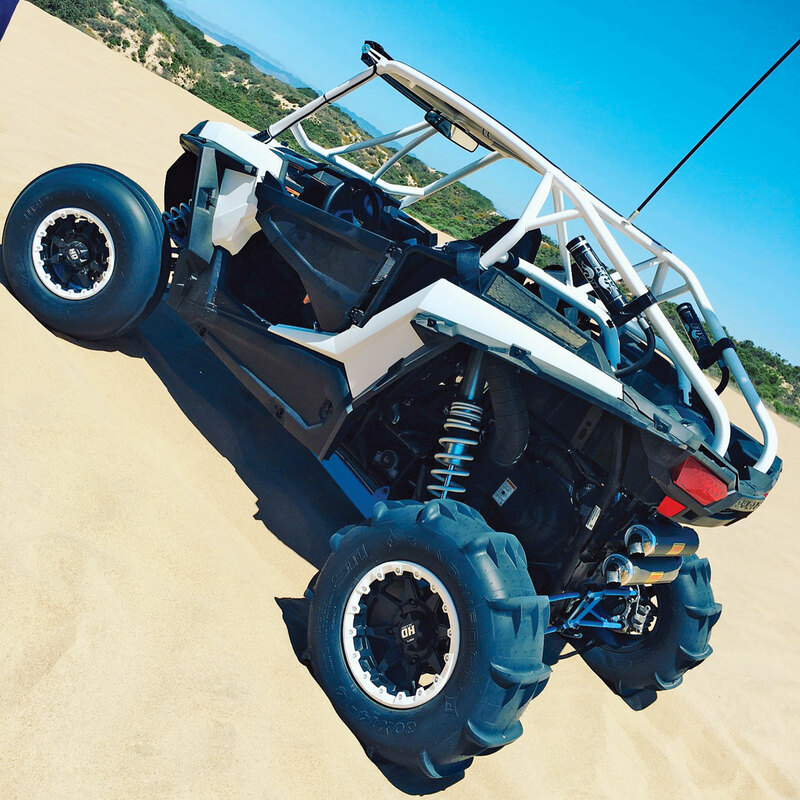 XP 4 owners have it a little easier; the Venom X4 cage is the only style available for the long-wheelbase RZR. Once you select the style, TMW gives you the option of MIG or TIG welding, a choice of material (mild steel, DOM or chromoly), and raw or powdercoated. The two-seat cages start at $1599, and most styles include built-in rear bumpers and aluminum roofs. The cages are available in heights ranging from 4 inches to 8 inches, so make sure to discuss with your TMW representative which height is right for you. Compatible with OEM doors. 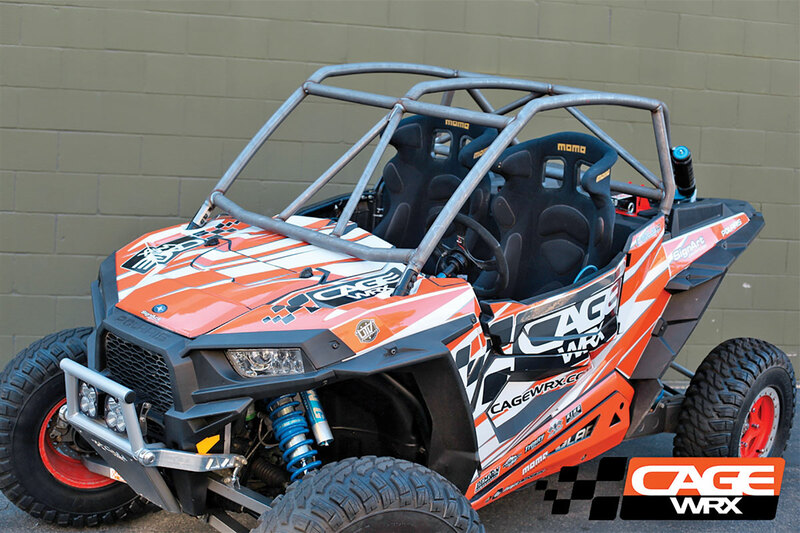 UTV Inc’s selection of cages is second to none. 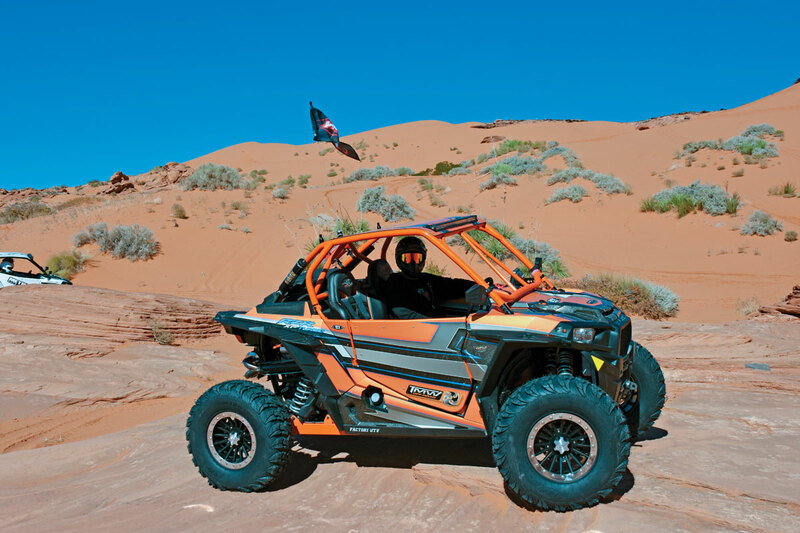 UTV Inc offers 11 styles between the two- and four-seat versions. Here’s how they break down: • Expedition two-seat (shown): $1,899.95; four-seat $2,149.95. Optional roof rack, standard roof and bumper. • Aftershock two-seat: $1,599.95. Six inches lower than OEM, built-in rear bumper, grab bars, roof. • Eleanor Fastback four-seat: $1,999.95. Fastback radius roof, rear bumper, roof, 5-foot-7 max rear passenger height. • Destroyer two-seat: $1,249.95; for-seat: $1,649.95. Five inches lower than OEM, no rear bumper, grab handles, aluminum roof. • SR71 two-seat: $1,799.95; four-seat $2,199.95. Six inches lower than OEM. Built-in rear bumper, angular/radius mixed design. • Thunderbolt two-seat: $2,099.95; four-seat: $2,599.95. Six inches lower than OEM. Built-in bumper, flat-back design. Optional carbon fiber rear wing. • Prerunner four-seat package: $5,499.95. Six inches lower than OEM. Rear bumper, aluminum roof, 30-inch Rigid LED light bar, rear wing with 33-inch LED running/brake light, low-profile roof rack. 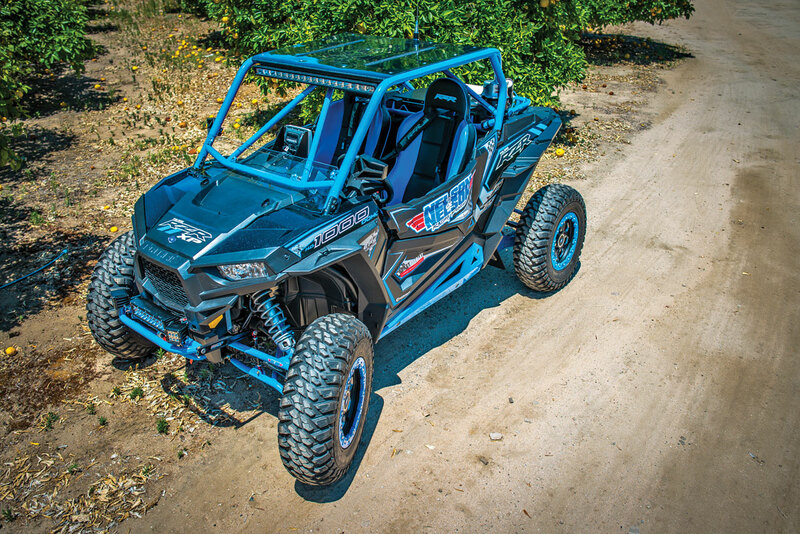 UTV Speed has seven cage options available for the RZR XP, and all use 1.75-inch tubing and are MIG-welded. All cages are compatible with OEM doors. The two-seat styles are as follows: Fastback with bumper, Fastback without bumper or radius top. XP 4 styles have the same options. The cages range from $1095 to $1795 with color options extra. Vent keeps it simple but can also facilitate 100-percent-custom cage builds. 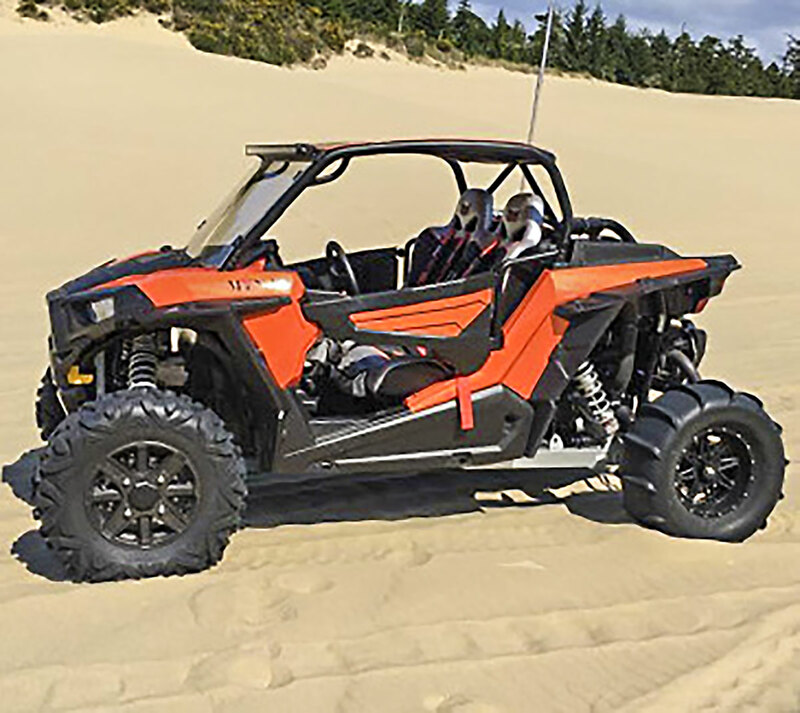 For the XP platform, Vent offers one cage style for the two- and four-seaters. The Vent cages are 6 inches lower than OEM and 10 inches wider at the roof for more occupant coverage. The cages have a radius style and are built out of 1.75-inch DOM tubing. Pricing is not listed on Vent’s website, but KombustionMotorsports.com had them on sale for $1999, with free shipping for the two-seat model. 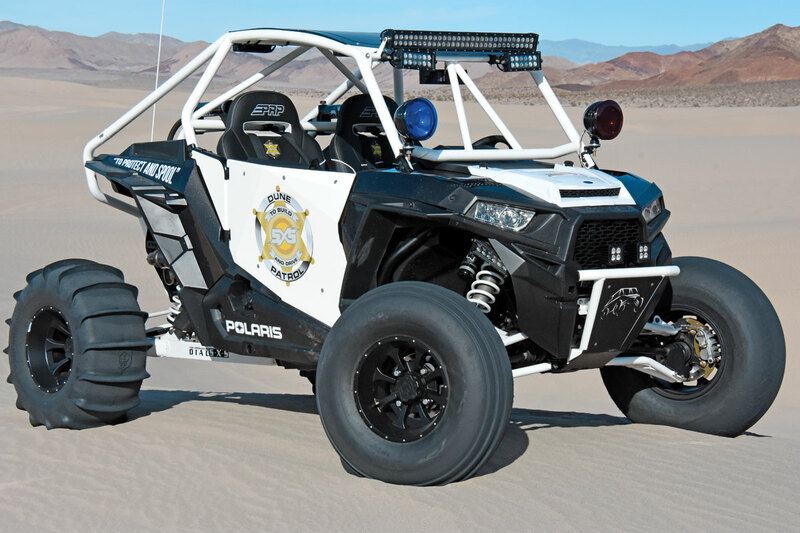 The Wolf Pack has three cage offerings all for two-seat RZRs. Wolf Pack offers a Sport cage with and without a bumper, including a roof and a V intrusion bar, starting at $1100. Wolf Pack also offers a full-race cage system, available in DOM or chromoly tubing with integrated fixed-door frames. The cage is race-legal in the Lucas Oil, WORCS, GNCC, BiTD and SCORE race series when properly optioned. The Race cage kit starts at $2995.